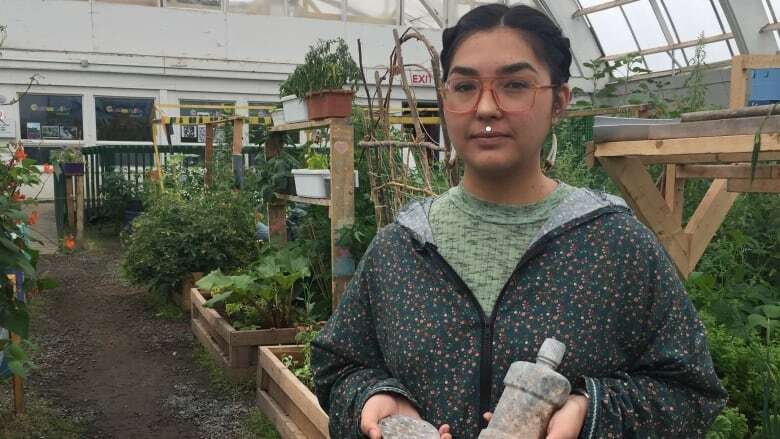 Inuvialuit artist Jade Nasogaluak Carpenter, who was born in Yellowknife and raised in Edmonton, went to Inuvik to reconnect with their culture and create soapstone carvings. 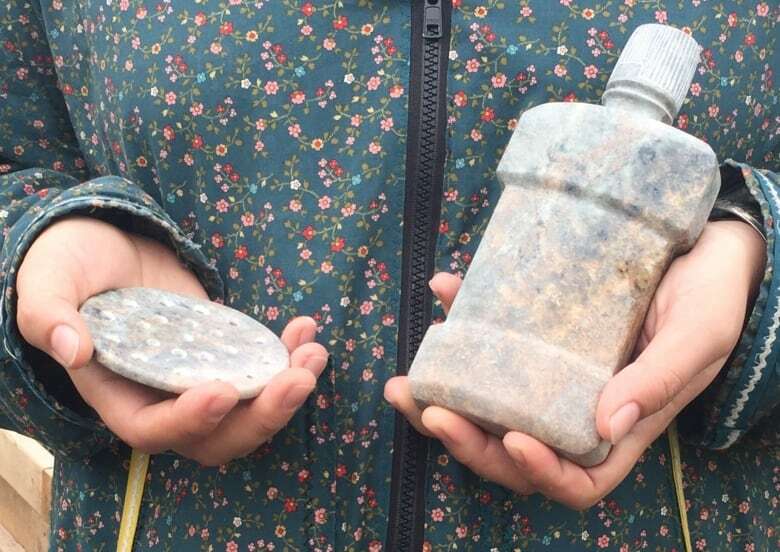 An Inuvialuit artist who was born in Yellowknife and raised in Edmonton was in Inuvik recently to reconnect with their culture and create soapstone carvings. Jade Nasogaluak Carpenter, who uses pronouns they and them, said their mom is from Tuktoyaktuk and their dad is from Sachs Harbour, N.W.T. Nasogaluak Carpenter hasn't been back in the area since they were five years old. Now 25, Nasogaluak Carpenter is one of two artists selected to participate in a Canadian Art residency program. Canadian Art is a charitable non-profit foundation. The program Nasogaluak Carpenter is in allows one artist from the South and another from the North to visit the opposite region. Nasogaluak Carpenter was in Inuvik in mid-July to return to their roots and be immersed in Inuvialuit culture. "I was worried about not being accepted into the culture as a southerner, but that really hasn't been the case," said Nasogaluak Carpenter. During the visit to Inuvik, Nasogaluak Carpenter carved at the the Inuvik Community Greenhouse and the Great Northern Arts Festival, where they learned from Inuvialuit carvers. Nasogaluak Carpenter's sculptures are quite different from typical Northern soapstone carvings. They include a Listerine bottle, razor and pilot biscuit. "I showed [my aunt] the razor blade, and she just busted out laughing because she was like, 'Oh, this is not traditional.'" Although the residency program has been going on since 2014, this is the first time an Inuk artist from the South has gone north. Canadian Art said it took that into consideration when selecting Nasogaluak Carpenter. 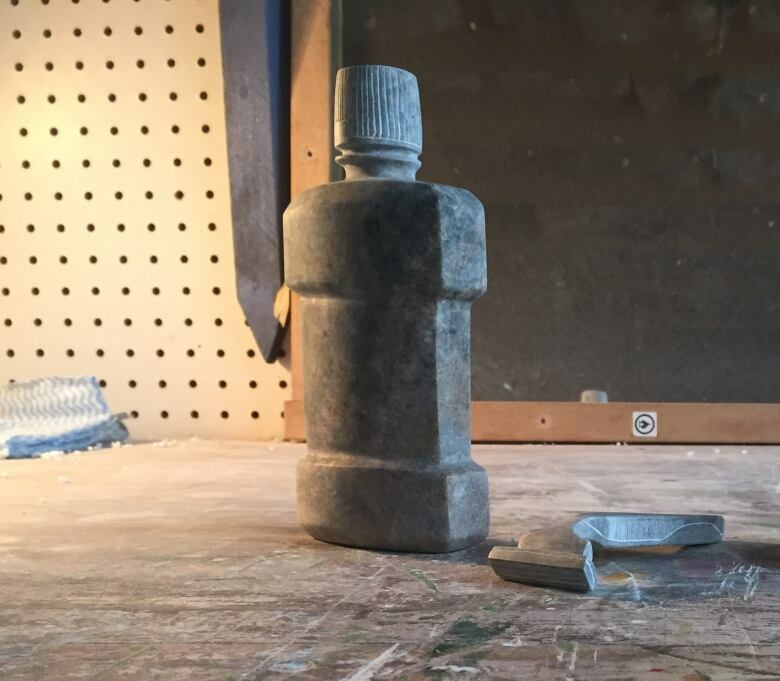 "I think [Nasogaluak Carpenter] has done so much with it in a relatively short period of time," said Nicholas Brown, director of programs and partnerships at Canadian Art. The program, called TD North/South Artist Exchange, wrapped up on Aug. 3, and Nasogaluak Carpenter said the experience has allowed them to learn and grow as an artist. "The main thing I've been thinking about is framing my artwork differently —instead of making it a sad story, making it an empowering story," said Nasogaluak Carpenter.